Romanization is the system of learning using character reading and writing, like how you learnt your alphabet and vowels in English grammar. The Japanese Romanji or Chinese Pinyin system calls for a lot of character identification as they are complex languages to write. To easily learn Korean, one must become familiar with Hangul, the Korean language character set. Though the written hangul form is simplistic nature, the Korean culture and phrase compartmentalization means this approach leads to misuse of grammar. To successfully excel in phrase construction and delivery, a beginner will have to pay close attention to what the phrase means and where it should be applied. the pattern similarity of words and phrase subtleties; how they are to be spoken in their various applications, also matters a great deal and one may find that they will eliciting varied reactions from hearers of their speech. The learner stands a better chance of improving their phrase recognition and understanding if they actively read them. For instance one can walk around reading street signs and shop window display advertisement. You might also sit on a park bench and listen to people talk or take part in simple conversation. You will then be able to quantify the large tasks in order to handle mouthfuls, increasing your word vocabulary reserve and assisting you to improve on your weaker skills. As the Korean language phrases are numerous and their etiquette varying, never try to convey to memory any new phrases leant as this will only bog your mind with many words but be clueless about how they’re used. Usability and application of phrases; the when, where or why they’re used, is of paramount importance to a Korean language learner. This way you shall gradually improve on your speech and at the same time get an insight into Korean culture and tradition. Practice makes perfect and therefore to not only to increase your motivation but also to extend your understanding of the context of phrases; actively talk or speak out what has been learned as regularly as possible. Get a proper grasp on a few important words which will serve you better than having a basic general knowledge of many words whose application will be at most very minimal. If Korean language is learned this way, the beginner shall be able to extend their capabilities to other areas of Korean language such as structure and nuances. As in any language, the Korean people’s culture is closely entwined with how their word order is crucial to social subtleties. Satoori is an example of a dialect or underground language culture, which due to its variety, devotion and even romance is generic to certain regions of the Korean peninsula. The individual accents and intonations were made distinctively different in previous eras where travel was a complicated affair in a country full of mountains. It therefore depends on which region you interact with its people for you to include a satori accent to your growing vocabulary. Aegyo is another Korean language theatric that a learner may greatly benefit from; if you are not very particular of its sometimes controversial nature. Adored and despised in equal measure, this is the spicing up of language by augmenting it with gestures of pretense or over the wall endearment. When someone is using aegyo, they will act excessively cute or to the point of appearing childish. Slang is a subtlety in any popular language and is a fun thing to get into to break the monotony of serious Korean language etiquettes. There are countless popular words that when correctly integrated into your speech serves well to identify you with the local crowd. To not portray a stuttering beginner of the language, make sure you polish on your slang and stay in touch with lingua trends; and enable you to participate in conversation and quickly learning. One way for a learner to achieve master status of the Korean language is through song and drama, which is an integral part of Korean culture. TV soaps and comedies feature strongly everywhere the Korean people are; and they are a virtual goldmine to a learner’s ability to speak fluent Korean. Jokes especially those ingrained with western cultural flavors are one of the greatest ways to understand the various subtleties of the language, since humor is close to all our hearts. Keep in mind that the Korean language different in its grammatical arrangement from the English language, and that phrasal context is more important than character identification. A learner needs to have the capability to guess a word from the context and not the other way around. Give your Korean language course the requisite amount of time and money to achieve your targets. Have realistic expectations according to your progress as the more successful you get; the more the confidence in speaking and hearing. Read, write, speak and listen in a balanced way to complement your grammar and pronunciation. Do not let interference by other issue and personal weaknesses hold you back as those that take a hiatus from learning a language rarely return to it; relegating them to perpetual learner status. Practice with the main aim of understanding the fundamentals of the language rather than mastering words and phrases. Don’t skip around the whole Korean language learning training ground as this will only interfere with your consistency. Moving around from a training program to another will hamper your progress as most programs have the similar setup where the current subject is reinforced by the preceding chapters. Naturally build on what is learned in the course you take and retain what has been covered to increase efficiency to your learning. 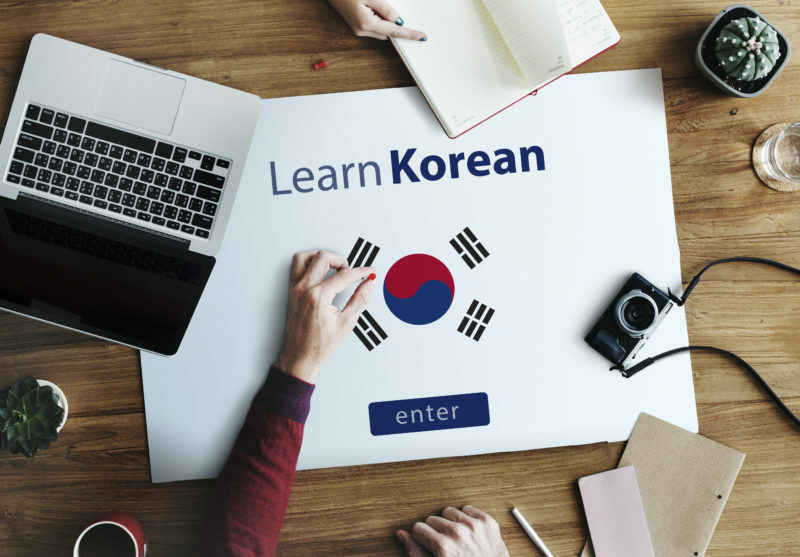 By following the tips indicated in this article, you’ll be on your way to learning the Korean language. It is a great language that can allow you to interact freely with a significant percentage of the world’s population.